New Review in for Jackie Gage’s Siren Songs from the Jazz Owl! 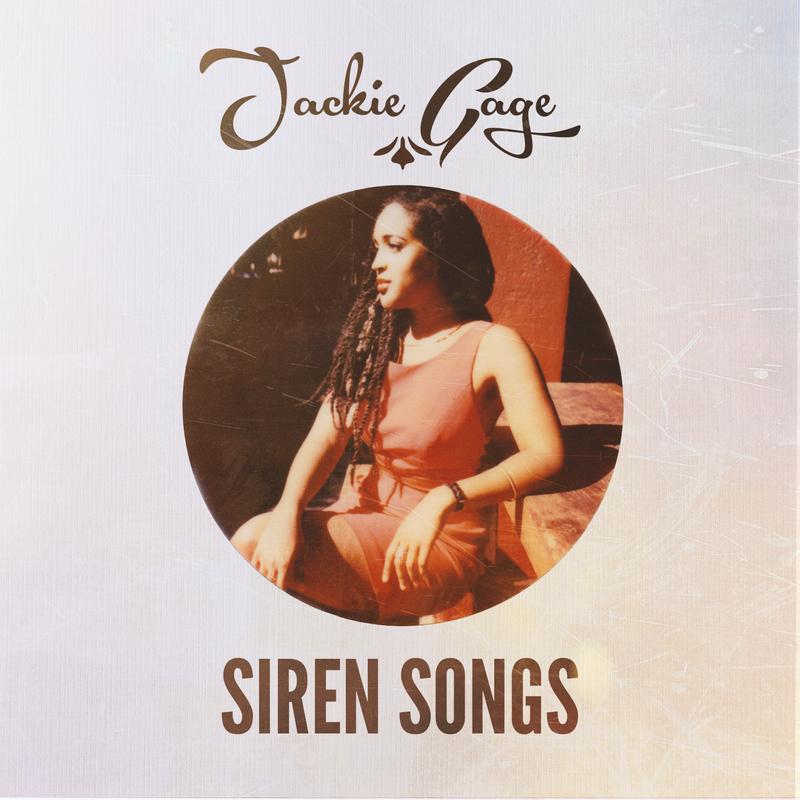 Siren Songs is the perfect title for Jackie Gage’s debut album as she definitely has the voice to stop any sailor on any voyage. Released on First Orbit Sounds Music (FOSM 262), Siren Songs is a charming mix of originals and standards. Those standards were arranged by Gage and are a revelation of her arranging skills alongside her writing skills as evidenced in her originals. Gage is accompanied by Timothy Wat (piano), Dillon Vada (marimba), John Shifflett (bass), Jason Lewis (drums), and the Juxtapositions Chamber Ensemble’s Ilana Thomas (violin), Kristina Dutton (violin), Su Buchignani (viola) and Freya Seeburger (cello). The strings are great enhancements to the pieces on which they perform. The album opens with Siren Songs. It is a beautiful introduction to the album with vocalizations from Gage and accompanied by Dillon Vado on marimba. The cool standard That Old Black Magic by Harold Arlen and Johnny Mercer—arranged by Gage—follows. Gage’s delivery is beautiful. The piano, bass and drums are fine support. Seriously, her voice is captivating and I’m not just saying that because of the album’s title. It’s Your Love is an original from Jackie Gage and William Bohrer. The marimba is a cool touch, carrying the melody. Then again, Jackie Gage could be accompanied by construction workers with jack-hammers and she would still make them sound like Duke Ellington’s orchestra. Yeah, her voice is that incredible. It is a beautifully written song and the band is remarkable with her. Mine (also written by Gage and Bohrer) is the first piece to be accompanied by the strings. In fact, the strings introduce the song and the melody. The song has a nice groove for the rhythm section and the strings swell the emotional impact. Gage’s delivery is a smoldering flame and the band fans the flame. A great song with stunning performance. Curious? is an interlude Dillon Vado on the marimba. Nice touch. Serves Me Right is the beautiful piece by Martine Tabillo. The strings return for the delicious song of regret and melancholy. Gage proves herself again (and again) that she can handle the tempos and phrasings and melodies with equal ease and poise. Comes Love (Stept, Brown and Tobias, composers) is Gage with the trio. Wat’s piano work is excellent and Shifflett’s bass with Lewis’ drums are right on. The organ is a great add at the end of the piece. A nice swinging piece. Afro Blue is the staggering piece by Mongo Santamaria, arranged by Jackie Gage. One of the greatest Jazz pieces ever conceived, it works so well under Gage’s touch. Her arrangement is finely done and the band works it well. Her voice works the rhythm like the finest conguero. Really, listen to her rhythmic delivery. Then bask in this siren’s voice. The album closes with Sweet. It is an original from Gage, Bohrer and Timothy Wat. The strings again open the song in the way that the song’s title would indicate. Gage is simply astounding in her delivery. With phrasings sometimes like Eryka Badu (and that’s not a bad thing), she still keeps a unique quality that sounds like no one I have ever heard before. The composition is a wonderful experience. Siren Song is a debut? Jackie Gage sounds like she has been doing this for 30 years and yet she has a fresh and sweet approach that sounds almost innocent. That might seem to be incongruous with music associated with torch songs but she goes far beyond that simple category. She is Soulful. She is Jazzy. She is Wonderful.